Don't worry, The Champ is here. 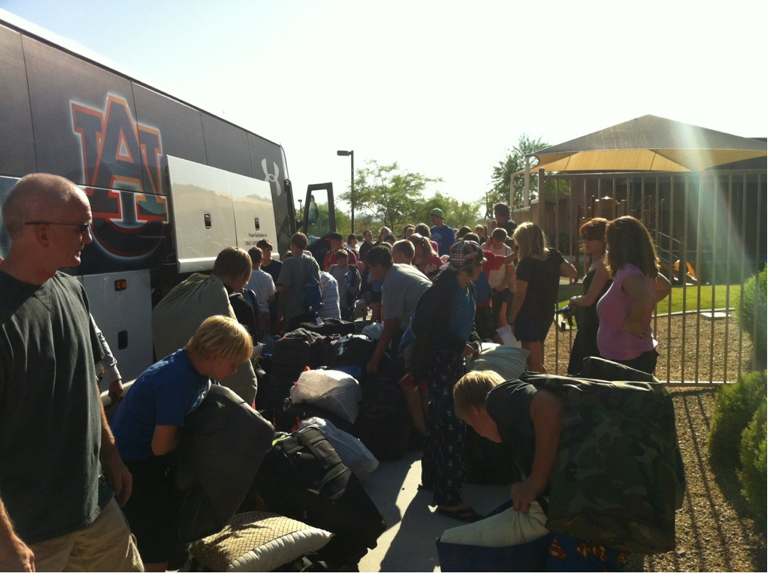 A bunch of kids from Scottsdale, Arizona probably became Auburn fans over the weekend, at least temporarily. When the bus the North Ridge Community Church youth group had chartered for its trip home from a Christian camp in California broke down an hour outside of Scottsdale Saturday morning, a giant Auburn University logo quickly came to rescue. 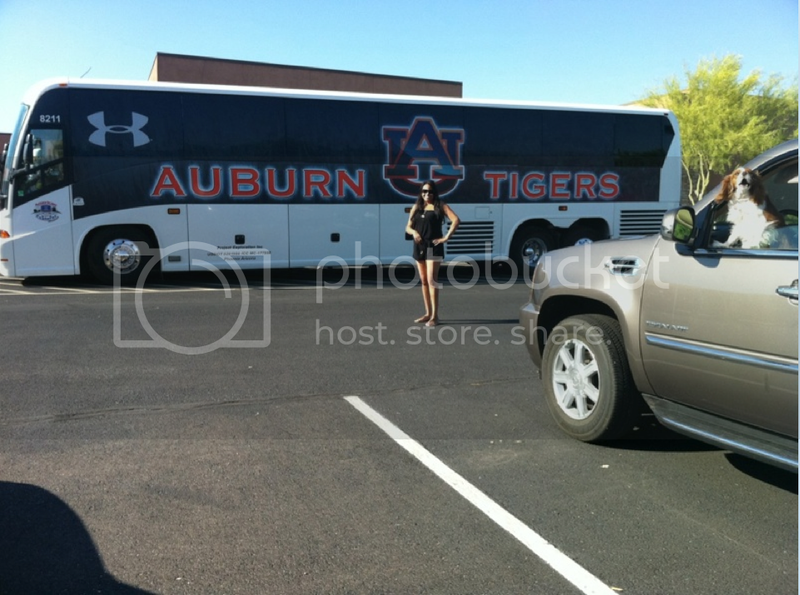 In March, we reported that two of the four buses the Auburn Athletics Department chartered—and wrapped in Auburn graphics—while the football team was in Glendale for the BCS Championship were still in use. American Explorer Motor Coach dispatched the one remaining “Auburn Bus” in its fleet to pick up the stranded campers, including the son of Debbie Sinani, who immediately told her Auburn fan friend—and TWER’s Arizona correspondent—Becca Hamilton (aka @GRITSGAL), who immediately told us. Debbie Sinani picks her son up from North Ridge Community Church (Scottsdale, Ariz.) Saturday morning. The next morning, Hamilton learned from her daughter that the Auburn bus, a friend to all faiths, was en route to a Jewish youth camp in north Arizona. so true. All roads lead to auburn.